Something of a “supergroup” this band features 606 regulars from a variety of high profile bands, including Jason Rebello, the Tommy Blaize Band and the Hamish Stuart band. 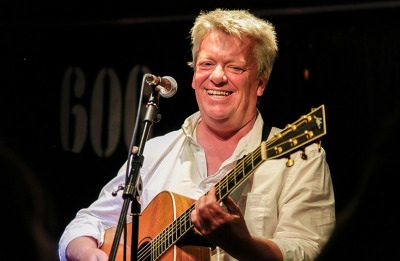 Andy Caine is best known at the Club as the singer/guitarist with the Tommy Blaize Band. An acclaimed vocalist, guitarist and songwriter, Andy’s career began in the 1980s and since then he has become a pillar of the session world, making a boatload of famous names sound even better. Among the vast number of chart-topping artists he’s performed with are Madonna, Robbie Williams, Take That, Brian Eno, Westlife and Simply Red. Paul Stacey’s fluent and impressive guitar playing has been heard many times over the years here at the Club. He has been featured with high-profile artists such as Claire Martin, Jason Rebello, Oasis, The Black Crowes, the Finn Brothers and Tom Jones. Ian Thomas has been playing at the Club for well over 25 years, performing with innumerable jazz and groove outfits including the Tommy Blaize Band and the Hamish Stuart Band. One of the busiest drummers on the studio scene his cv includes work with the likes of Eric Clapton, Paul McCartney, Elton John, Sting, Tom Jones and Michael Jackson. Pianist Sean Hargreaves moved to the US to study at Berklee College of Music in Boston before returning to a plethora of work in the UK with artists of the likes of Michael Bublé and Alison Moyet. The remaining rhythm section of Chris Dodd on bass and Pete Eckford include work with the likes of Lynden David Hall, Wynton Marsalis, Gary Burton and Grupo X. This exciting band, with well over a hundred years of experience between them, play a mix of music from Gil Scott Heron to Steely Dan, Curtis Mayfield and Bowie to James Brown. Special indeed.